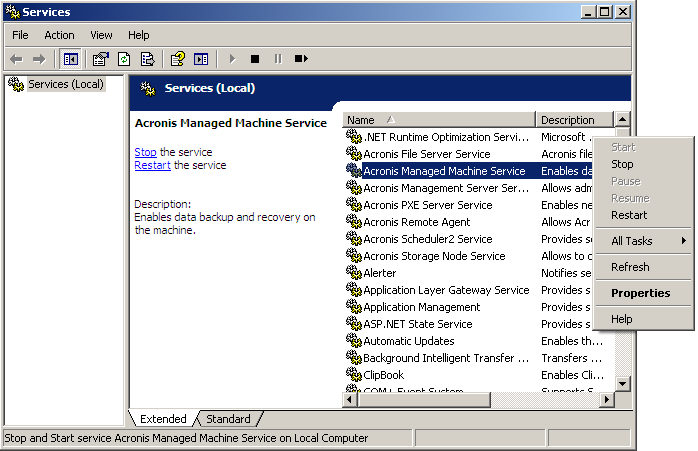 If you need to move Acronis License Server to a different machine, please proceed as described in this article. 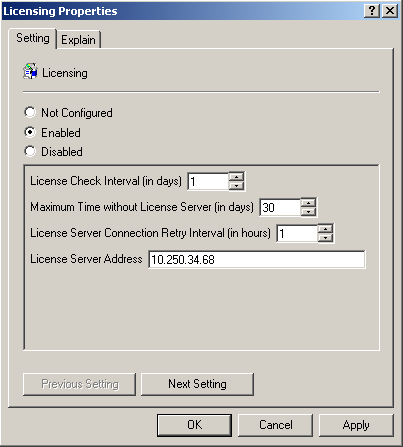 You may optionally export your existing licenses, and import them into the new license server. Or you may download the licenses from your account and add them to the new license server; the licenses will automatically be re-assigned after re-addessing the agents. (!) 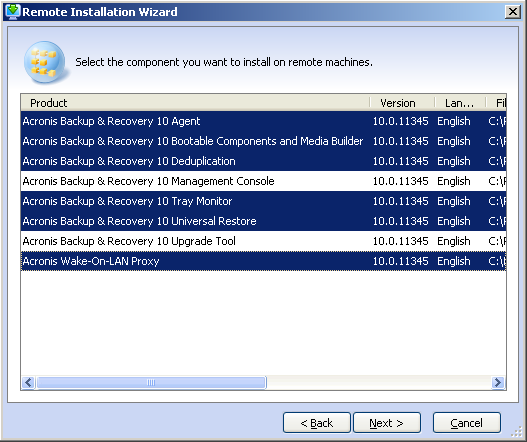 This will only work with Acronis Backup & Recovery 10 Build 12497 or higher. If you have Acronis Backup & Recovery 10 Build 11639 or lower, please refer to Remotely repair the installation of the Acronis Agents. 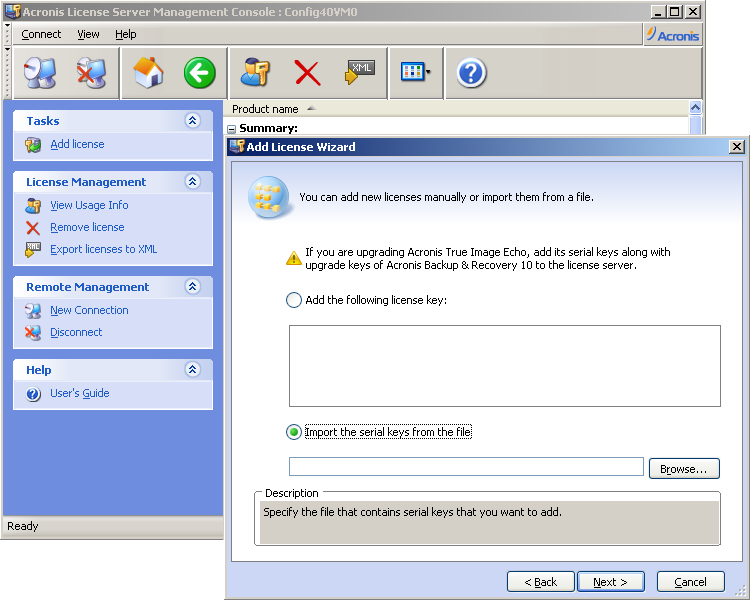 The Acronis Administrative Template is applied through the Microsoft Group Policy mechanism. 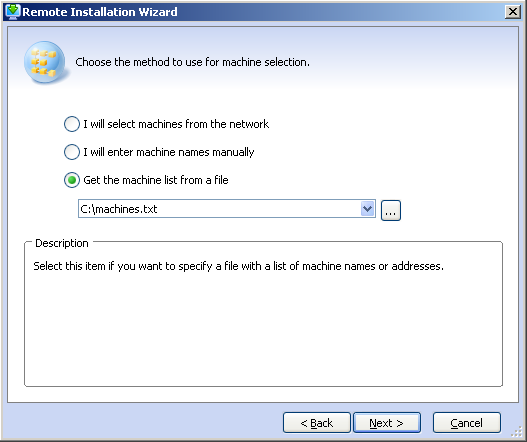 The template policy settings can be applied to a single computer or to a domain. 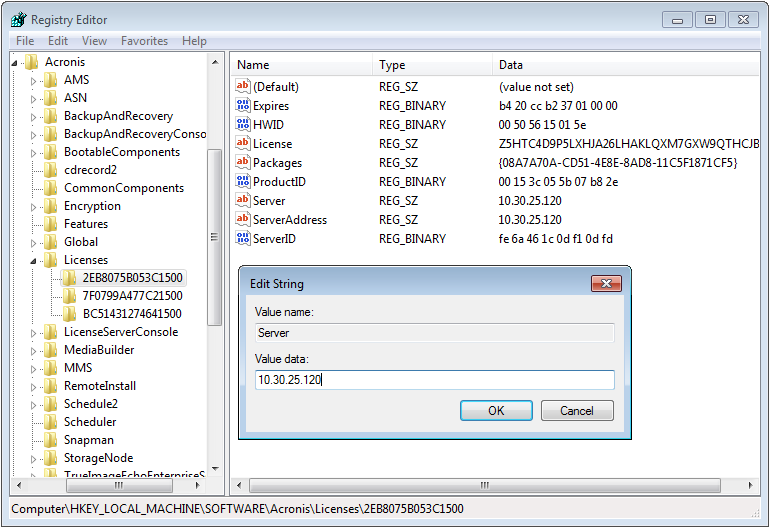 To restart the service on remote machines, you can use Microsoft Management Console (MSC). See Microsoft TechNet Article: Microsoft Management Console. 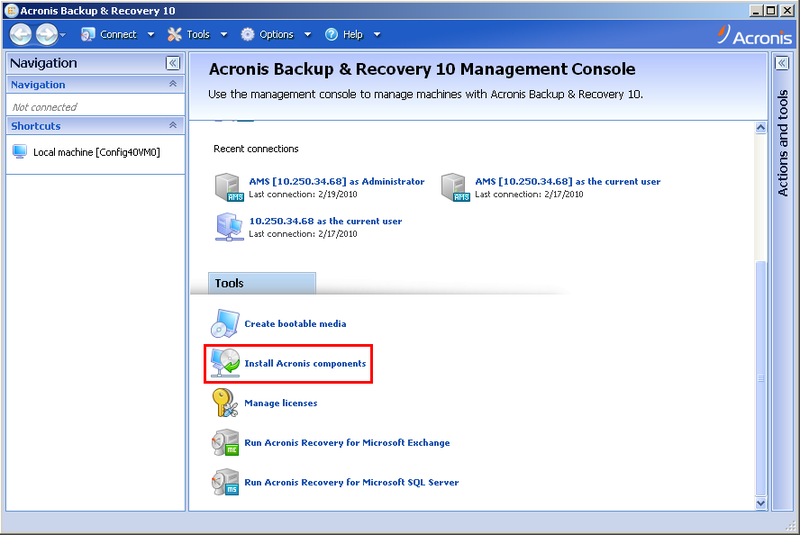 If you have Acronis Backup & Recovery 10 Build 11639 or lower, you need to edit the registry of each of the machines that have Acronis Agent for Windows and Acronis Universal Restore and/or Deduplication installed. 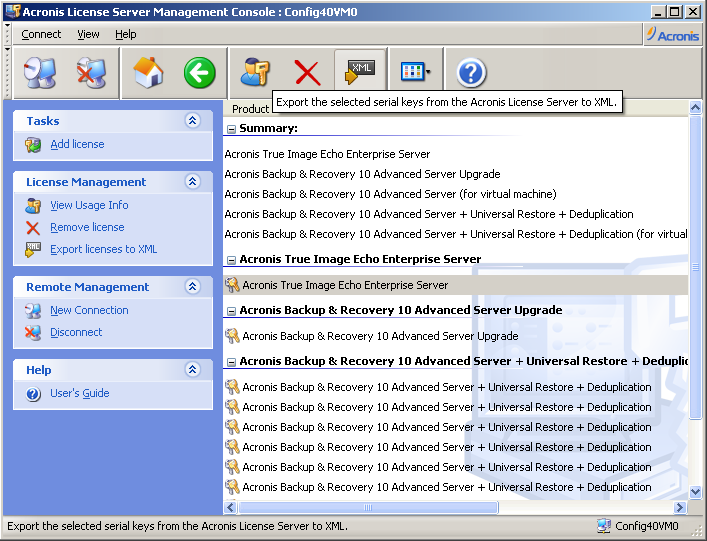 This will migrate all licenses, including the Acronis Agent license, the Acronis Universal Restore license and the Deduplication license. Change the LicenseServerAddress field - and type in the host name or IP address of your new Acronis License Server machine there. There will be several subkeys with GUID names similar to 2EB8075B053C1500 (the number of subkeys depends on the components installed on this machine). It is necessary to change Server and ServerAddress fields under each of the existing subkeys - and type in the host name or IP address of your new Acronis License Server machine there. If you have Acronis Backup & Recovery 10 Build 11639 or lower, and would like to reinstall or update the Acronis Agents, you need to run a batch file on all the Acronis Agents machines and the reinstall the Acronis Agents (including Acronis Universal Restore and/or Deduplication). Run the installation. 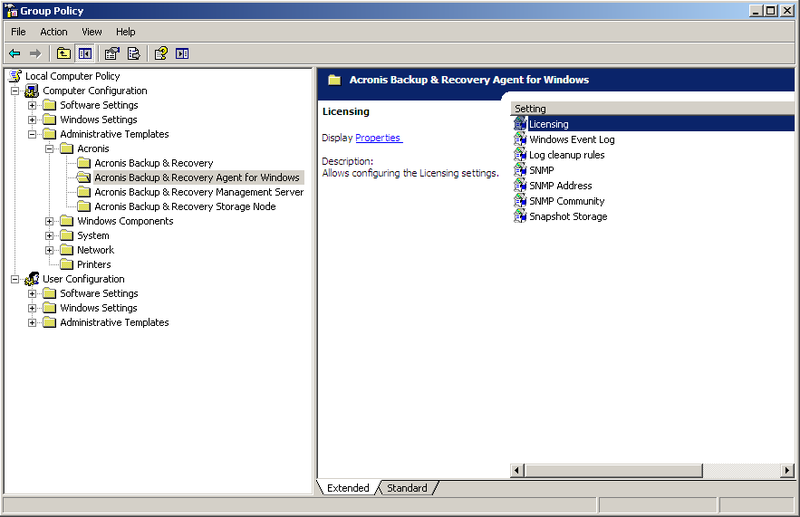 This will repair the existing Acronis Agents installation with the new Acronis License Server location. 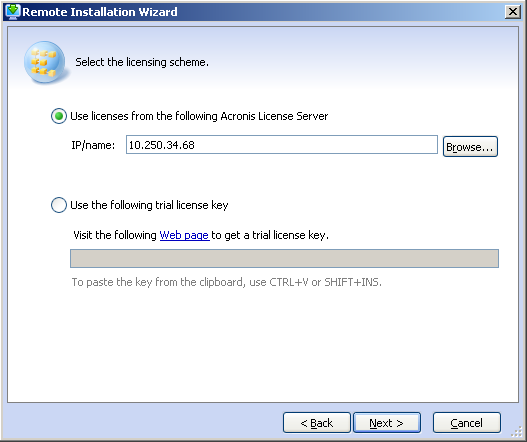 See also Using Acronis License Server.